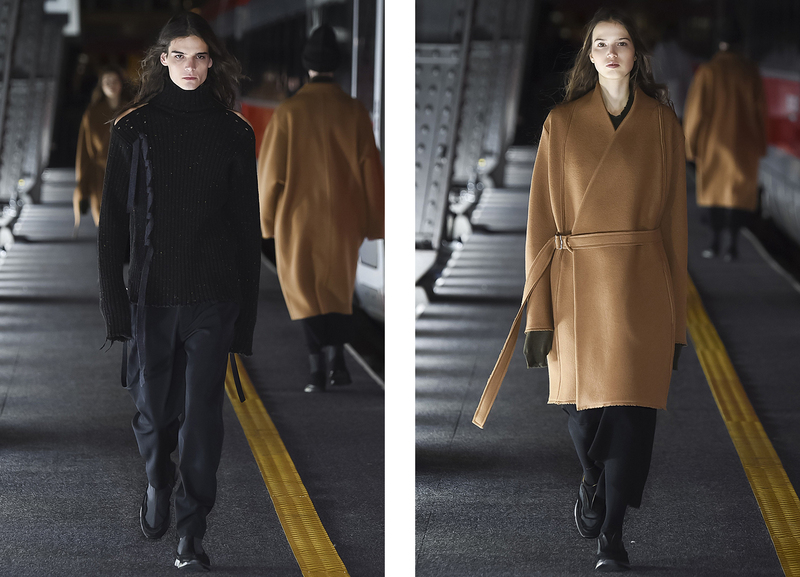 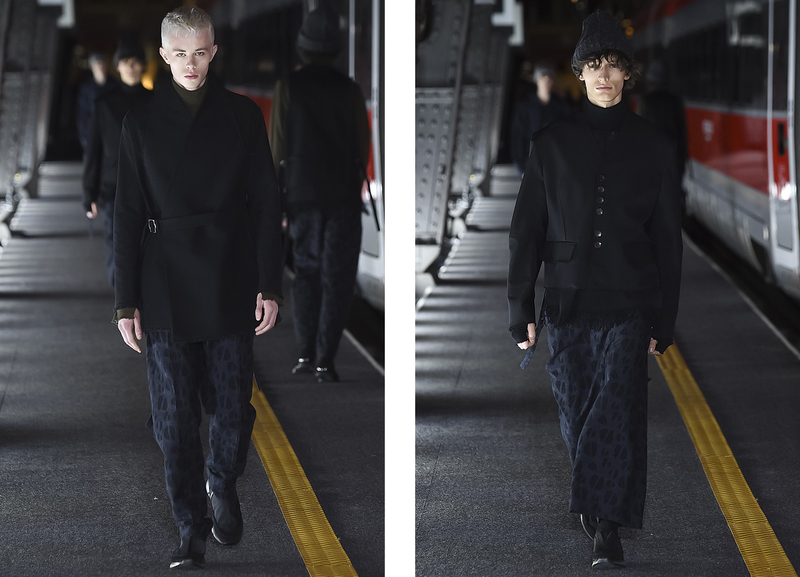 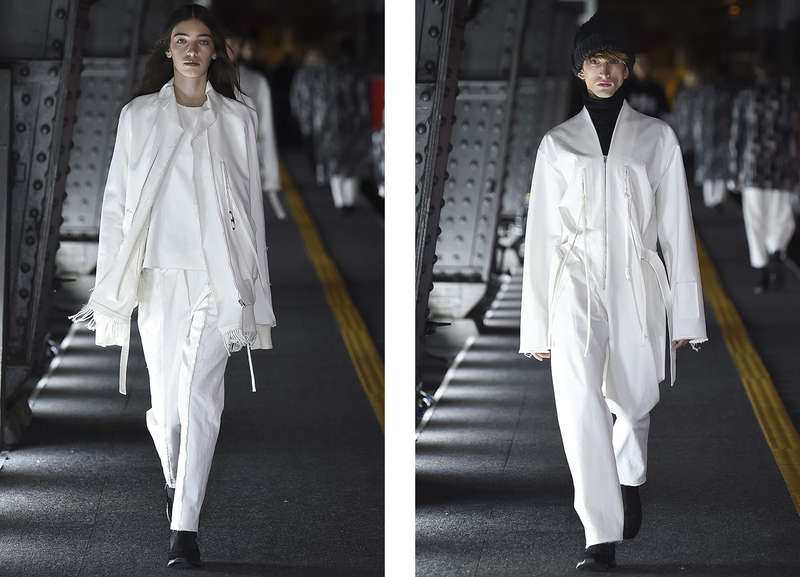 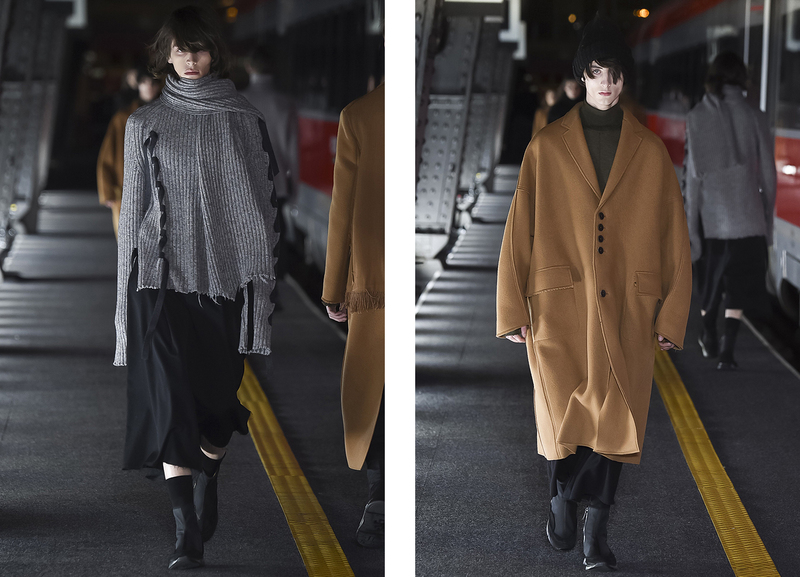 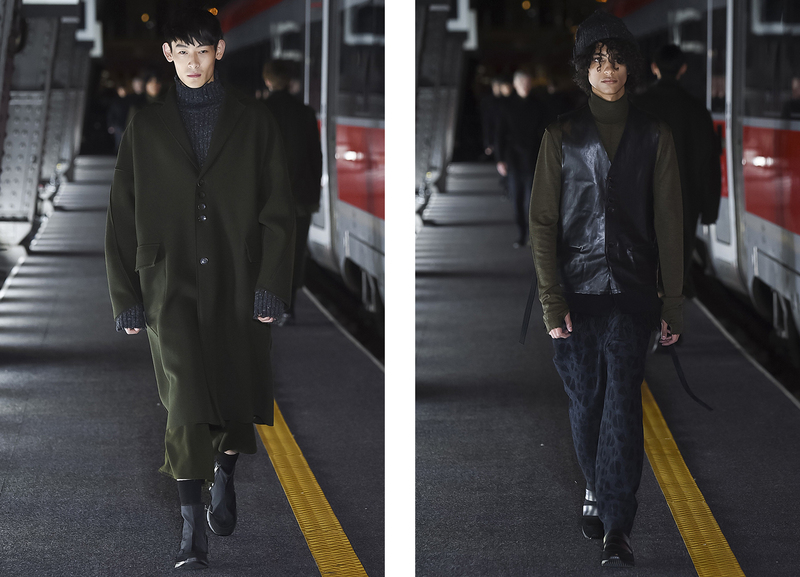 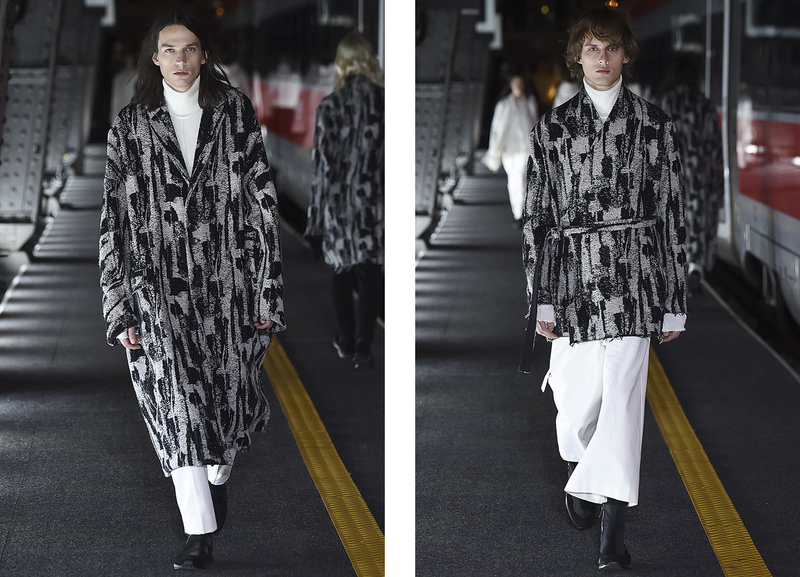 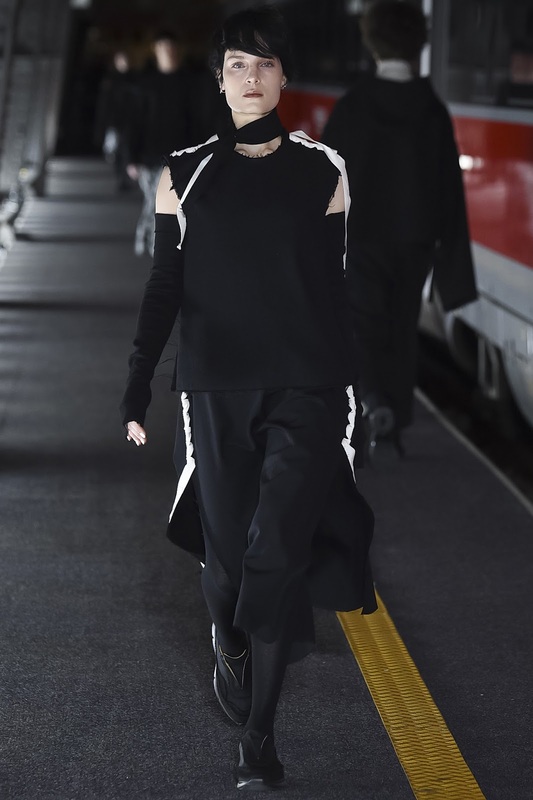 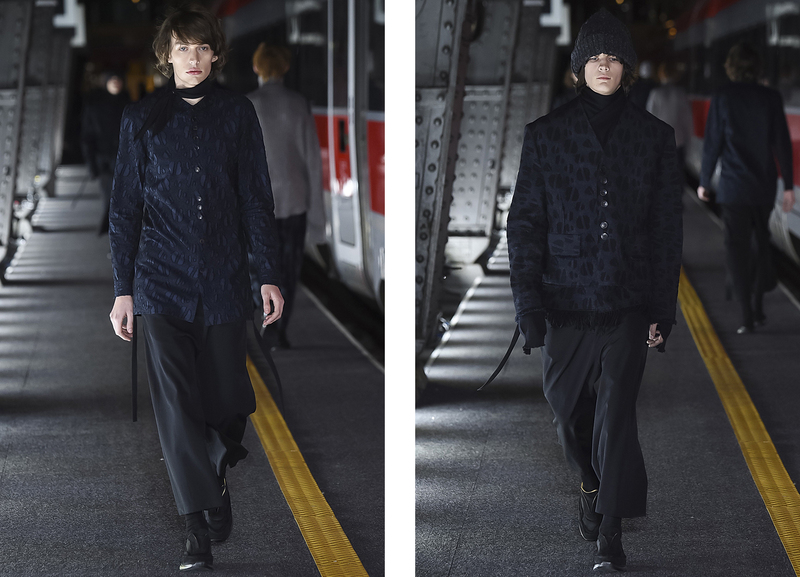 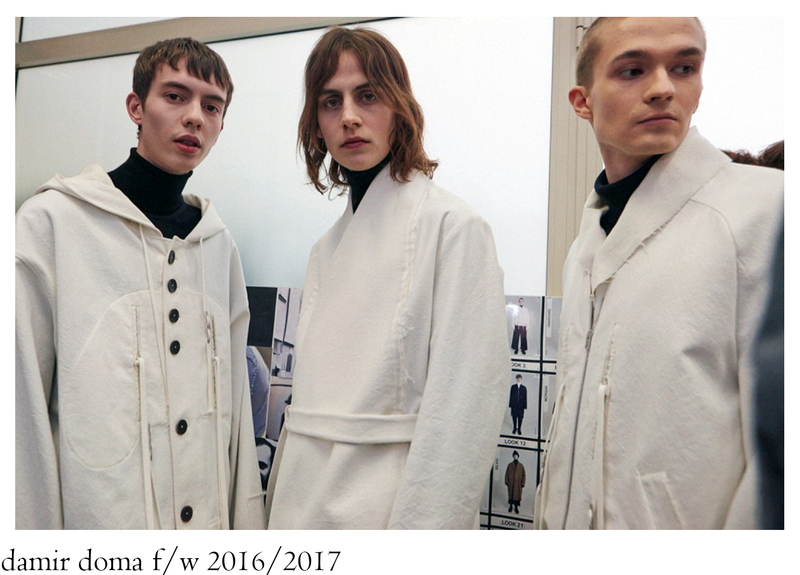 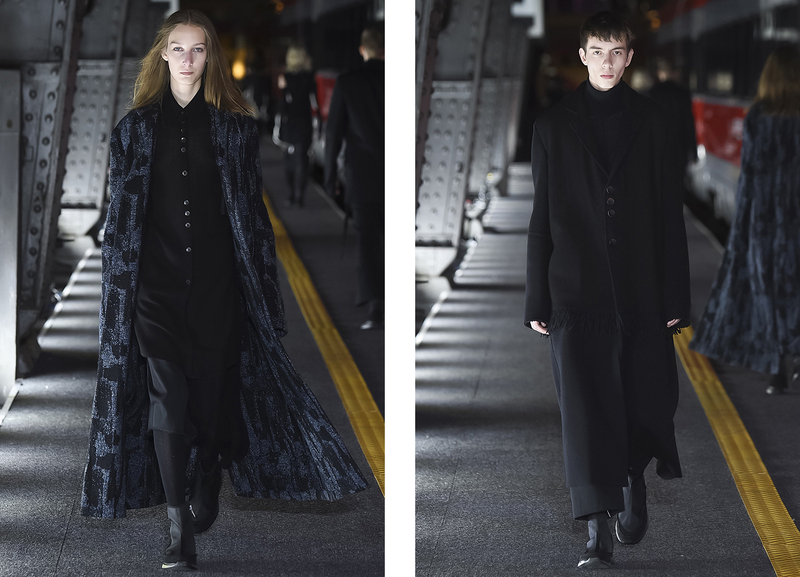 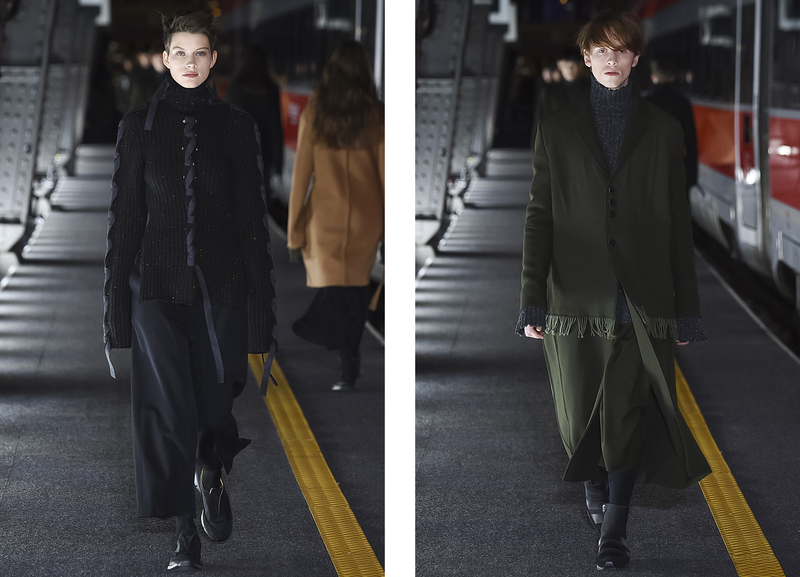 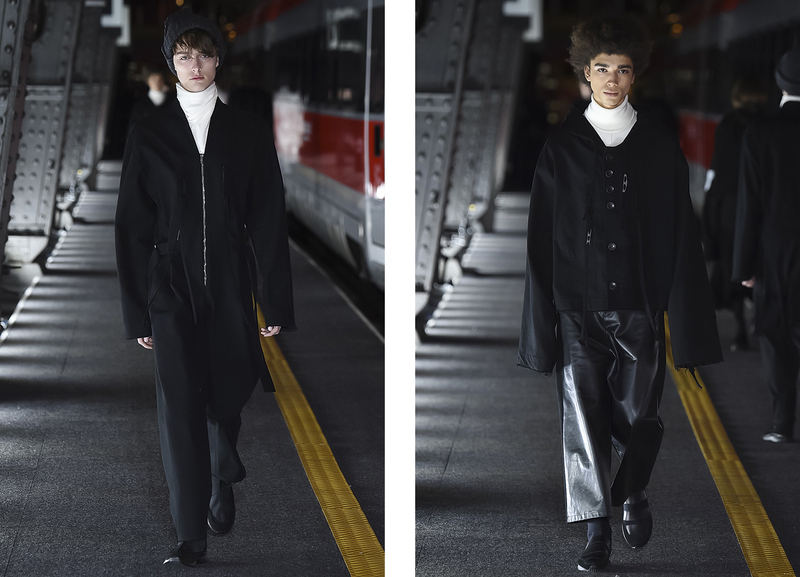 This was the second show in Milan for Damir Doma after literally moving his company from Paris to the Lombardy capital city. 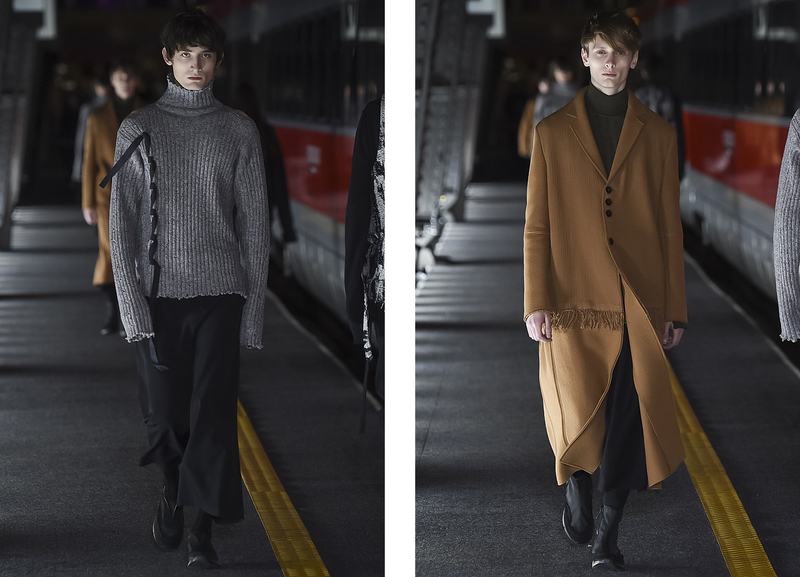 The brand couldn´t pick more perfect place to present their F/W 2016/2017 menswear collection. 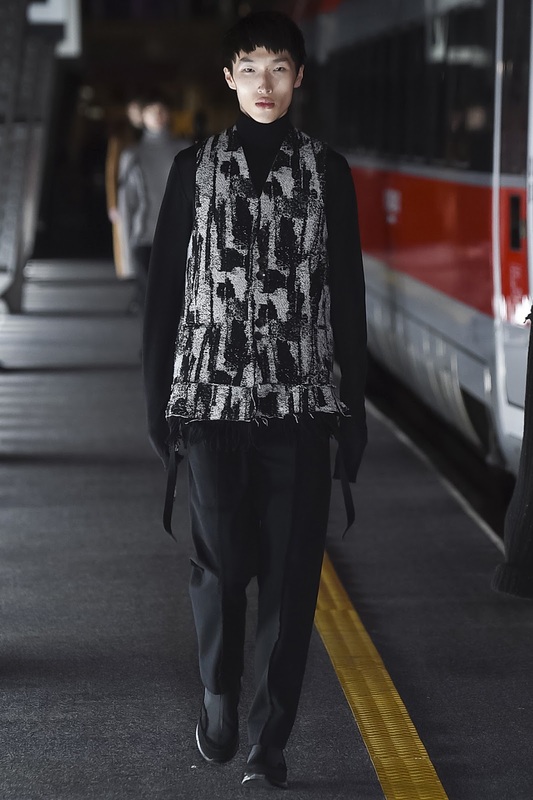 The Milan Central Train Station was not only that matchy-matchy background, but also a symbolic epitome of Doma´s arrival in Italy and somehow also a best place that describes his aesthetic, a place where you find an ocean of individuals, from different origins, culturally, geographically and also spiritually. 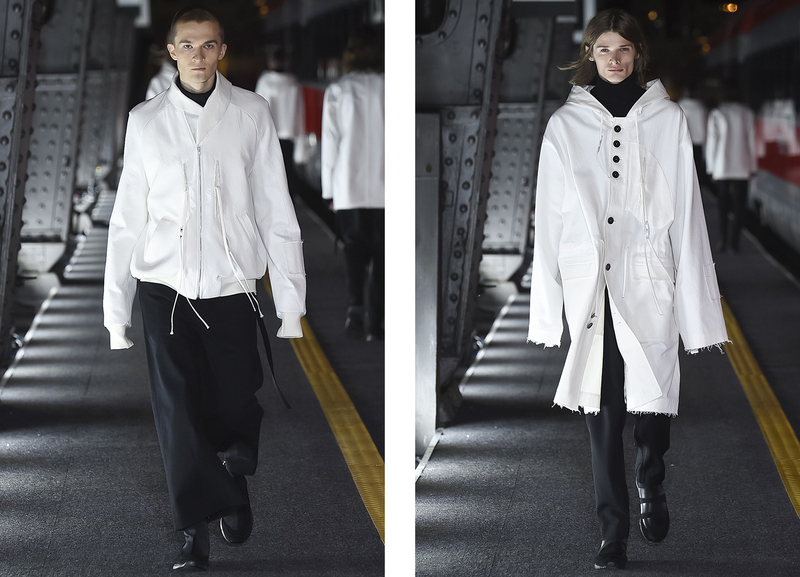 Doma is known as an austere, sculptural designer, who constructs, but also deconstructs (not only) hand-sculpted coats and pairing them with more fluid garments. 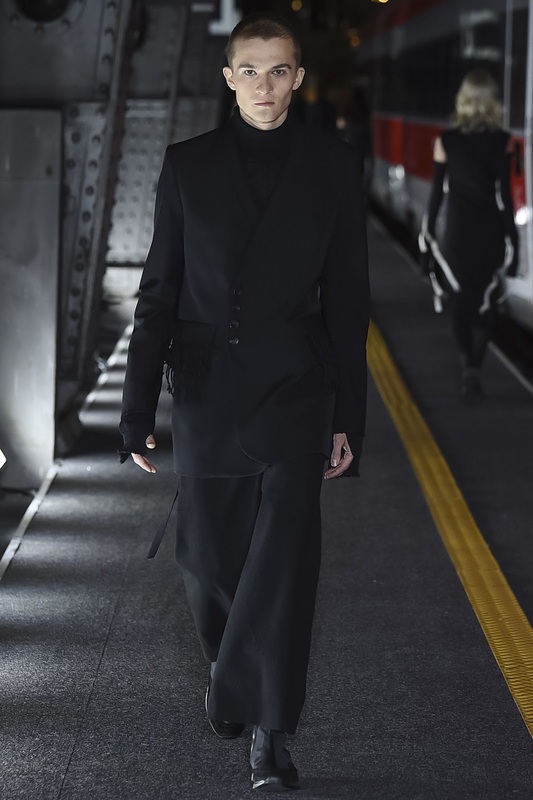 His unique style combines elements from East-Asian culture, nineties minimalism, workwear, urban and sportswear-details. 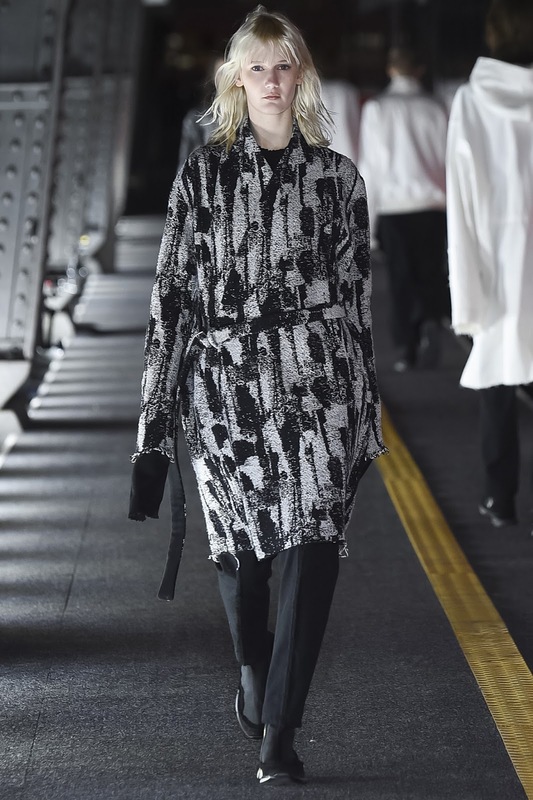 We saw nice elongated kimono-jackets, cinched at the waist, cocoon-shaped long coats, others tailored and some embellished by a strip of fringe, perforated and colour-flecked rib-knits, featuring braided ribbons and in colour-terminology reminded us the work of artist Antonn Tapies, not to mention zipped overalls, elongated and fringed jackets embellished with contrast, black buttons, bomber jackets and asymmetrical tunics. 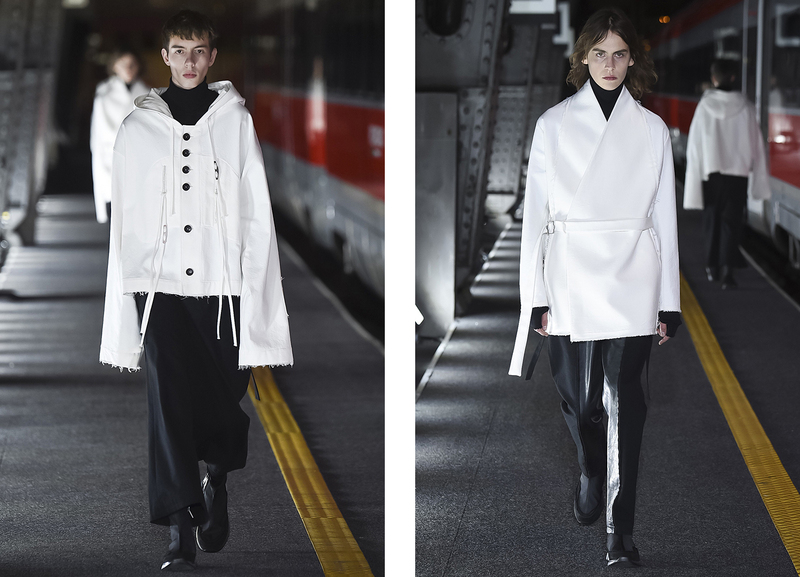 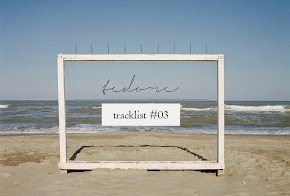 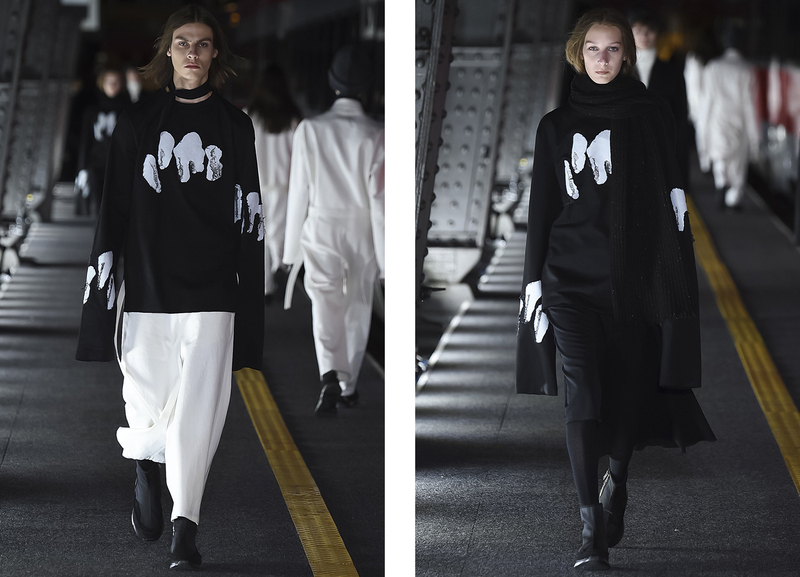 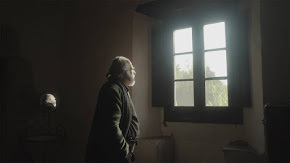 With this collection Doma definitely confirmed his sort of “arrival”, to a place where he can harmoniously and in best way present what he feels, translated in distinguished and very vibrant minimalistic aesthetic.